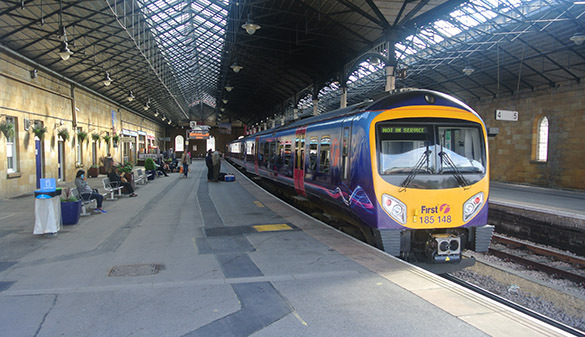 SCARBOROUGH, ENGLAND (June 16, 2015) — Team Yorkshire split up this morning. 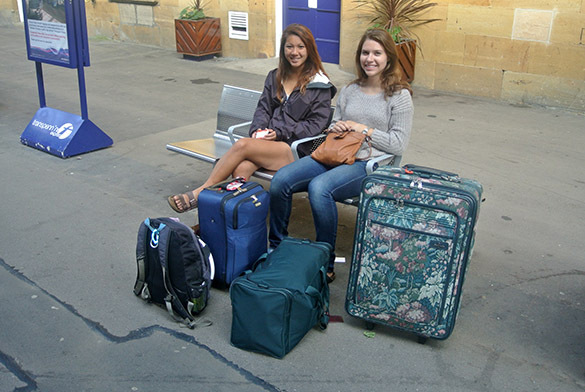 Mae Kemsley (’16) and Meredith Mann (’16) packed up very efficiently and took a train to London via York. 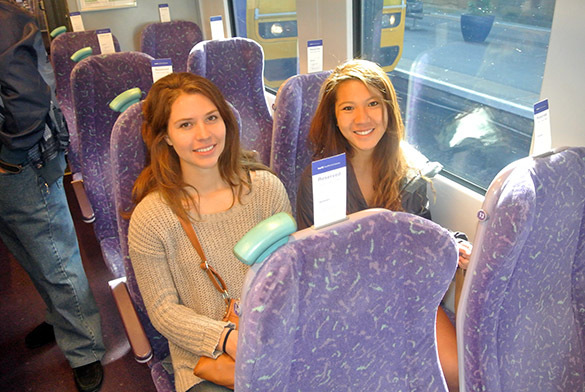 There plan is to see some London sights and then take a night train to Paris, where they will spend a few days. It is always a sweet time to see healthy and happy students at the end of the fieldwork heading off on their own adventures. Bittersweet, though, because we had such a great time and I have one more day in Scarborough. This is the small Scarborough train station. A set of tracks ends here, so there is only one way in and out. The train that took Mae and Meredith out of Scarborough. 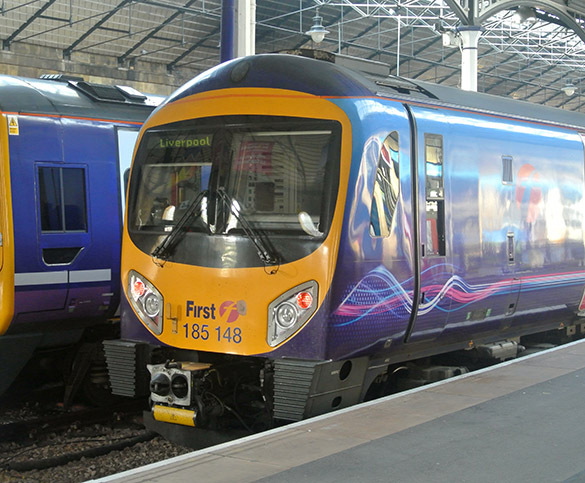 I will be on the same train tomorrow as I start a 14-hour journey to Thurso, Scotland, via York, Edinburgh and Inverness. For the rest of my lonely day, I explored Scarborough. 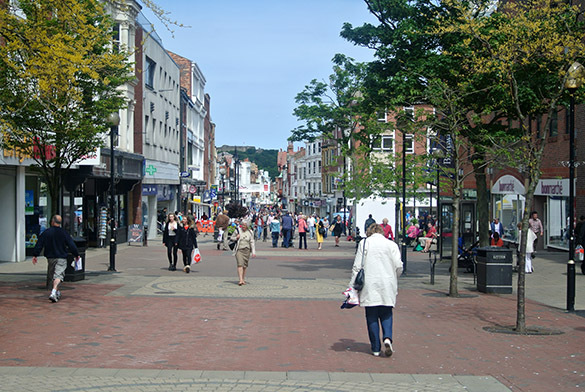 This is Westborough Street with its modern shops and restaurants. Team Yorkshire ate a lot of fish and chips in this neighborhood. 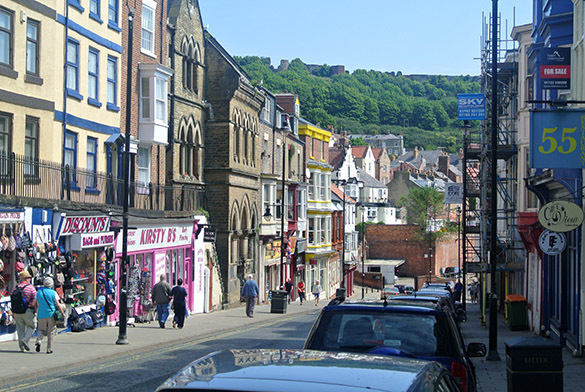 Merchants Street is an older part of Scarborough. You can see the walls of Scarborough Castle on the skyline. 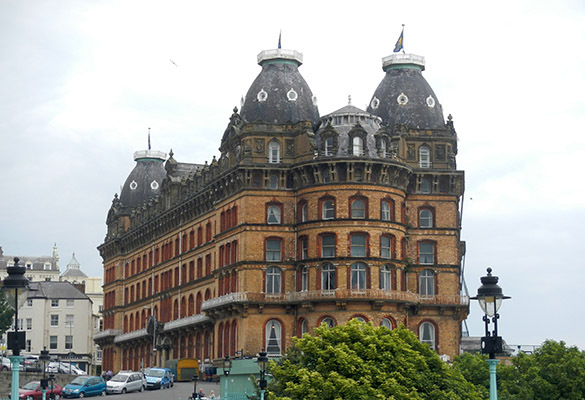 Finally, one last view of the Grand Hotel, a Victorian building that has a long history, including being shelled by the Germans in 1914. Our hotel was across the street and far less fancy. This afternoon I sat in its lobby and read a book to escape the cold and clammy weather that descended on the city.